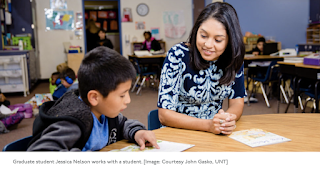 Talk about something happening at UNT Dallas that's innovative in teacher education! 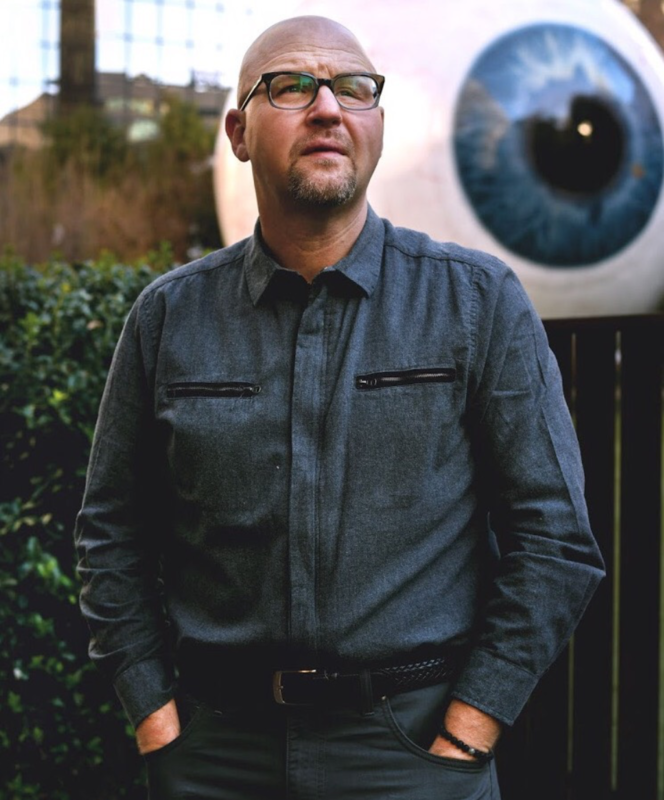 Therefore, according to my former doctoral student and graduate of our Ph.D. program in Education Policy and Planning at UT-Austin, Dean John Gasko is inaugurating "in May of 2019 one of the nation’s first body-mind labs, called Thirdspace, which will integrally engage and guide how teachers are developed and supported. Thirdspace represents a (r)evolution in teacher pedagogy that seeks to transform teacher burnout to teacher well-being." Psychological and emotional well-being are indeed learned skills. John Gasko is finding a way to reshape education by making the classroom a place where innovation can thrive. Gasko, professor and dean of the School of Education at University of North Texas, stresses the importance of nurturing the mental well-being of students and teachers, ensuring both feel motivated and encouraged in the classroom. In an effort to increase teacher retention and make students more comfortable in the classroom, Gasko this May is introducing Thirdspace, one of the nation’s first body-mind labs which will guide how teachers are developed and supported. Tell me about your role at UNT Dallas, your inspiration to innovate in the world of education, and the importance of rethinking our approach to training educators and better preparing students? I currently serve as Professor and Dean of the School of Education. My inspiration to innovate revolves around my belief that if we are not constantly living on the razor’s edge of innovation then we will not create the conditions for success in our schools. In today’s educator preparation environments, there largely is a status quo mentality around what skills and competencies future teachers need to both survive and thrive in our public schools. I believe that current approaches need to be reimagined and reordered beginning with the “who” that teaches rather than developing microwaveable formulas designed to get better test scores. 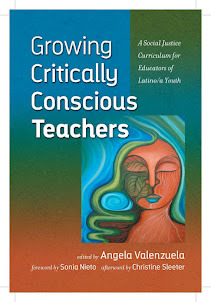 Reclaiming our own humanity in the midst of the teaching enterprise is something that’s been lost, and we are seeing the repercussions across the country given the number of teachers who are leaving the profession and/or expressing their existential angst through protest. Describe the Emerging Teacher Institute and its goals in the world of education. How has the institute’s training impacted teacher retention and students’ graduation rates? The Emerging Teacher Institute has 4 core pillars that drive its approach to teacher preparation: (1) Nobility; (2) Intellect; (3) Self-Care; and (4) Practice. At ETI we espouse the belief that teaching is a sacred, noble calling, and we intentionally seek candidates who have discerned a stirring within themselves that they wish to actualize here at UNT Dallas. Accordingly, our faculty and staff do a tremendous amount of work celebrating the profundity of the call and create learning experiences that elevate the status of the profession and inspire a mindset of unbounded possibility in our students. We pair that sacred calling with a world-class education of the intellect in order to prepare urban intellectual warriors who are capable of enacting transformation no matter the environment they find themselves in once they graduate. Unfortunately, educator preparation programs have not paid as much attention to the well-being and self-care of their candidates. Therefore, at ETI we have made self-care a learned skill so our teacher candidates do not have to make the false choice between the calling of a lifetime and their own health once they begin work in the public school system. We see many teacher turnover in our public schools due to stress, burnout, toxic work environments, and the rising challenges associated with managing difficult student behavior. As such, at ETI we believe students need to be prepared to cultivate their own self-awareness and self-management skills in the midst of a difficult work environment so that they can flourish and stay the course. Finally, we believe in providing our students with ongoing opportunities to practices their skills and craft by spending significant amounts of time in high-needs public schools where they hone their relational and instructional competencies while also practicing self-care in the midst of it. How do neuroscience and medical discoveries affect stress and burnout, and how is Thirdspace combating the phenomenon? A recent ABC News poll ranked teaching as the 4th most stressful profession in America. This has huge implications in terms of preparation that can be framed by the following question: do we want teachers to work from a place of stress or from a place of well-being? If we desire the latter, we have significant work in teaching future educators how to flourish and be resilient in the midst of adversity. I believe well-being is a learnable skill that can be imparted; therefore we are opening in May of 2019 one of the nation’s first body-mind labs, called Thirdspace, which will integrally engage and guide how teachers are developed and supported. Thirdspace represents a (r)evolution in teacher pedagogy that seeks to transform teacher burnout to teacher well-being. What do you mean by a “holistic model of education and development” when discussing teacher wellbeing? For me, holistic is a play on being or becoming WHOLE. How do we support the development of WHOLE human beings while preparing them to become incredible changemakers—aka, teachers? That’s our opportunity. If we want to nurture happy and whole teachers, then we need to do more than educate their minds. We need to reflect back throughout antiquity and reclaim ancient wisdom that suggests that wholeness involves the body, the brain, the mind, the breath, the emotions, the heart, and the non-material worlds. Young people in schools need positive, secure attachments with highly evolved human beings that have done the work within themselves required to enable it for others. Teacher preparation and support is not just taking courses and engaging in intensive clinical practice, but it must also encompass “deeper” aspects of human development. What are the tenets of the program, and how do they contribute to lowering the dropout rate? The ETI model, especially through the inclusion of Thirdspace, prioritizes integral human development as the precondition for good teaching and the ability to thrive in the midst of adversity and churn. We believe that supporting the integral development of our candidates—mind, body, emotion, and soul—will give them a much stronger foundation upon which to remain focused on well-being in the pursuit of excellence in the classroom, thereby lowering their need or desire to dropout simply to remain alive. Stress, as we all know, is a killer. Too many of our best teachers leave because they would rather do something else than shorten their lives. How could the teacher dropout rate decline as a result of Thirdspace? Thirdspace launches in May 2019, and we have put together an incredible strategy group representing the university and great organizations and leaders from the community who believe that happy teachers change the world. We will be developing impact metrics that monitor outcomes for students while they are in formation at UNT Dallas and also after they graduate and begin work. In addition to current and future students, Thirdspace will offer programming geared at supporting current, in-service teachers and school leaders so that they, too, can work on the “inside” as they do their “onstage” work. While we are optimistic we can reduce the teacher and leader dropout rate, we will also need to close partnership of school districts to ensure that the ecosystem itself is set up to nurture and support wholeness. Simply creating caring, Navy SEAL teachers with strong resilience is not enough. The system itself has to value the well-being of the adults that serve it with the same level of urgency as supporting young people. Why is it important that UNT Dallas is setting the standard for an innovative approach to education? UNT Dallas has to set the standard. Our university is located at the intersection of several deserts: a food desert, a poverty desert, a higher education attainment desert, and a well-being desert. We have made bold claims around accelerating the life outcomes and social mobility of our students that I claim are not realizable unless we innovate. It’s hard to innovate in higher education because the system tends to trend towards compliance over time. Our community in South Dallas and our students don’t need compliance. Our community and students need changemakers who will reinvent and reimagine higher education over and over again until the results speak for themselves. We currently are heading in that very direction as evidenced by our rapid enrollment growth, having the lowest student-debt in the United States, and through great leadership, faculty, and staff most of whom are mission aligned to our North Star. Congratulations to University of Texas History professor, Dr. Emilio Zamora, for winning the 2019 Ruth A. Allen Pioneer in Texas Working-Class History Award that he receives this week at the Texas State Historical Association's (TSHA) Annual Conference in Corpus Christi, Texas where he also gets named as president. The TSHA is the leading history organization in the state and the authoritative source for Texas history worldwide. Thanks to Roberto Calderón for posting this in "Historia Chicana." We're so very proud of you, Emilio! You deserve this! Felicidades! 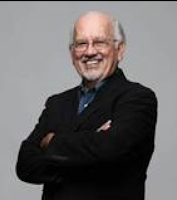 Dr. Emilio Zamora holds a George W. Littlefield Professorship in American History at the University of Texas at Austin as well as affiliations with the Center for Mexican American Studies and the Lozano Long Institute of Latin American Studies. He is the President-Elect of the Texas State Historical Association where he is also a Fellow. Zamora is a life member of the Texas Institute of Letters and a Fulbright recipient. His writing has garnered – among other awards -- the Clotilde García Award for the best book in Tejano History (twice), the Coral Horton Tullis Memorial Prize for Best Book on Texas History, the H. L. Mitchell Award in Southern Working Class History, the T. R. Fehrenbach Award in Texas History, the Bolton-Kinnaird Award in Borderlands History, and the Award of Merit for the best book published on Texas, fiction or non-fiction, from the Philosophical Society of Texas. Dr. Zamora is also the 2018 winner of the Award of Excellence from the Emma S. Barrientos Mexican American Cultural Center in Austin. Among his many scholarly works are The World of the Mexican Worker in Texas (1993), “Labor Formation, Identity, and Self-Organization, The Mexican Working Class in Texas, 1900-1945,” in Border Crossings: Mexican and Mexican - American Workers (1998), and Claiming Rights and Righting Wrongs in Texas: Mexican Workers and Job Politics during World War II (2009). The son of the president urging rally goers to bring their “fight” to schools is concern enough. The language does not seem like an empty threat when you reflect on escalating white nationalist violence, and the horrific incidences of violent attacks in schools. The broader concern is that America’s public school teachers—who come from diverse backgrounds and have political attitudes that cover the spectrum—are increasingly being vilified for political purposes, rather than being appreciated for the vital role they play caring for and educating our children. Educators around the world are denouncing Trump Jr.’s statement. We must join them. I'm re-posting a message from Austin Council Member Gregorio Casar. “When my children are sitting in their high school history classes one day, what will be the excuse given to them about what we’re doing now? How will they be able to make peace with the trauma and pain our leadership has intentionally inflicted on potentially thousands of men, women, and children seeking refuge in this country? In total agreement. This is an urgent matter of gross human rights violations inflicted by U.S. government policy to the literal tune of thousands of children getting separated from their families, far too many still in our detention centers and with precious little transparency or accountability. What could be more urgent? 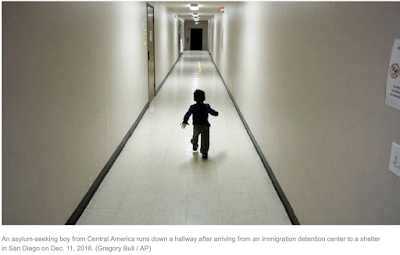 It became one in late 2017 and early 2018, when the government began quietly separating families — asylum seekers and migrants who entered the country illegally — at our southern border, a test run for a soon-to-be-open policy of taking children from their parents. Our country became a kidnapper in plain sight last April, when then-Attorney General Jeff Sessions announced the Trump administration’s zero-tolerance policy at the border, breaking up families at such a pace that children pulled from the arms of their mothers and fathers were dispersed to refugee sites across the country with no consistent tracking process in place. And America remains a kidnapper today, because children are still being separated at the border for specious reasons and, according to a federal report and recent testimony before Congress, there may be thousands of additional children we didn’t know were separated, children the government says it now lacks the resources to find. Consider that for a moment: The total number of children, possibly thousands, that our government willfully took from their parents as part of a cruel and clumsy experiment in deterrence is not known. This story began, in large part, with a little girl who was taken from her mother and shipped halfway across the country to a facility here in Chicago. It has been almost a year since I first wrote about that little girl, and the fact that we’re still talking about children our government unfairly ripped from their parents is unconscionable. That girl and her mother were separated for months, even though the mother, identified only as Ms. L., had followed all of the laws laid out for asylum seekers. The pair were reunited here fairly quickly after their story was revealed and a lawsuit was filed by the American Civil Liberties Union. That lawsuit grew into a class action and a judge issued a June 26 court order halting the Trump administration’s family separation policy and giving the government 30 days to find the more than 2,600 children being held across the country under the care of the Office of Refugee Resettlement (ORR) and reunite them with their parents. It was a pathetic mess, the result of a draconian policy implemented with no advance planning. The various agencies responsible for these children didn’t have a consistent means of tracking them or their parents. It was slapdash and intentionally brutal. It took months for most of those children to be reunited with their families. But in January, we learned of an entirely different set of children lost in the chaos. In the months before an official zero-tolerance policy was announced and in the months that following its announcement, there were children separated from their parents at the border, taken into government custody and then released to the care of a relative in the United States. The court order in the Ms. L. case involves children who were in government custody when the order was issued. Attorneys from the American Civil Liberties Union assumed, logically, that all children separated from their families due to the zero-tolerance policy were part of the lawsuit’s class. That makes sense, given that Ms. L. and her daughter — the family at the center of the case — were reunited well before the court order was filed. But the government doesn’t see it that way, arguing that the newly identified children are not part of the Ms. L. class and claiming it would be too much work to find them all anyway. To summarize, our government tore thousands of children away from their parents causing untold trauma, then dragged its feet mightily in reuniting those children with their families. Now we learn there may be thousands of additional children who were placed with U.S. relatives (not their parents), and the government has no plan to reconnect those children with their parents or even consult the parents to see if the current guardianship is acceptable. These kids weren’t put up for adoption or handed over willingly to U.S. officials in the hope they would get placed with a distant relative. They were taken from their parents — period. Now government officials are claiming they lack the resources to find these kids. They even have the gall to suggest that uprooting the children from their current guardianship would be too traumatic, after showing no such concern for the children’s well-being when they yanked them away from their parents in the first place. We are a powerful and wealthy nation. We certainly have the ability and the resources to account for every child we forcibly orphaned. We should, if we still possess even a sliver of compassion, fully clean up this inhumane mess and recognize the stain it will leave on our history. Until we do that, we’re nothing but kidnappers.